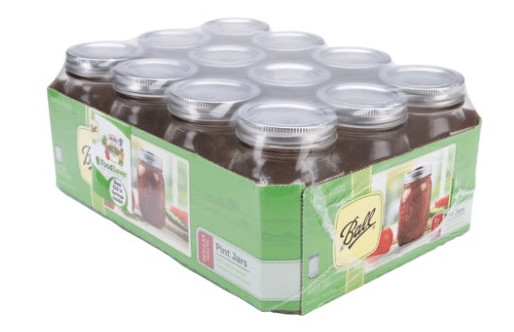 Pack of 12 Ball Pint Mason Jars $6 on Walmart.com- Hurry! Hurry over to Walmart.com, where they have a huge price cut on Ball pint glass mason jars with lids! Get 12 Ball mason jars for just $6.07! This ships free with a $35+ order or you can choose free in store pickup. This is an awesome price for mason jars, so hurry! This is the perfect size for storing sauces, soups and broths.